As a native San Franciscan, Linda Lam prides herself in being an expert on the neighborhood dynamics in the City by the Bay. After graduating from the University of San Francisco -- holding a B.S. in both Accounting and Finance, Linda ignited a career-path into management and entrepreneurship. For 10 years, she owned and operated several event venues -- specializing in San Francisco's dazzling nightlife and live entertainment. Over those years, Linda developed a strong work ethic of doing business with integrity, and a practice of excellent communication skills. Her experience with event management and planning advanced her aptitude in the art of contract negotiating and handling high-pressure situations. In addition, she has been able to develop an inside network of information and a long list of collaborators only few are privy to in San Francisco. Linda recently turned her focus to the challenging world of San Francisco real estate by becoming a Realtor with Compass. Having a knack for providing a personable, yet strategic approach to home buying, Linda leverages her many contacts throughout the Bay area -- and abroad -- by assisting buyers and sellers in maximizing their investment potential with data on market analytics and shifting real estate trends. 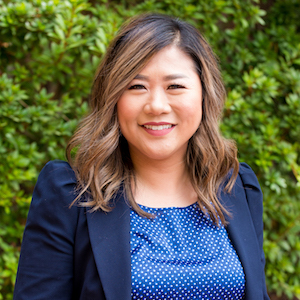 Linda is also fluent in three Chinese dialects: Cantonese, Chui Chou, and partial Mandarin -- giving clients the ability to connect and communicate with buyers and sellers from the Chinese community. Be certain that if you are looking for a Realtor that is truly committed to your needs, Linda Lam will be your agent and advocate, unwavering in her dedication to ensuring your goals are met.